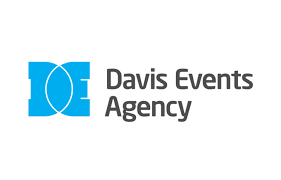 Davis Events Agency is looking for casual staff to come work with us on a variety of different projects that we have coming up over the next few months. In general we're looking for outgoing people with event/promotion experience to help us out on event days. Work can be anything from meet & greet, hostessing & registration all the way to manning an activity area at a children's event or working at a big live concert on Smithfield Square! Applicants need to be flexible and enthusiastic due to the unpredictable nature of the event industry. Some of the clients we've worked with to date are Dublin City Council, Dropbox, Culture Night and Brown Thomas. There are lots of opportunities for work for students, we have 7 events in the next two months alone that will require casual staffing! We also regularly take on interns so this could be a good opportunity for us to get to know you. To apply to be on our casual staff database, send your CV and a cover letter to Sarah at promoteam@davisevents.ie.